Join us to celebrate “Chinese Valentine’s Day” with Arts in the Dark. 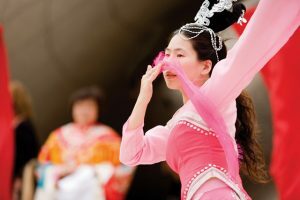 The free family-friendly lantern procession along the Chicago river will be led by Chinese Fine Arts performers. Attend one of our lantern making workshops (details to be posted soon! ), bring your own, or simply turn up and enjoy the spectacle. The procession will begin at 8:30pm and travel along the south side of the Riverwalk from the jetty between Franklin and Wells traveling east towards Lake Shore Drive. Presented in partnership with LUMA8 and the Chicago Department of Cultural Affairs.